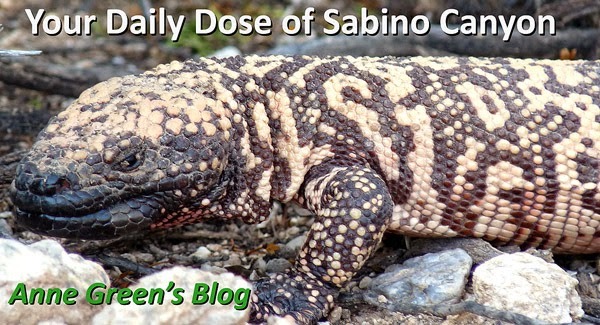 Your Daily Dose of Sabino Canyon: Mornings are glorious! It's time for a blue-purple morning glory lesson. Why? Because I now know how to tell them apart - most of the time anyway - and soon you will, too! We begin by looking at the leaves. Both flowers are very similar in color. Both open in the morning and close by afternoon. Leaves are similar, too. The Ivyleaf usually has 3 'points' on the leaves, but it can have 5. The Canyon Morning Glory leaf always has at least 5 'points'. (This is not the technical term. This is the Anne-Green-quick-and-easy method of flower ID. Suitable for the average 6-year-old.) The leaves of the Canyon MG are often thinner. The Ivyleaf flowers are generally rounder, the Canyon flowers are generally more angular, like a 5-pointed star. I'm going to go out on a limb here and say these above are Ivyleaf. Last, but not least, the Tripleleaf Morning Glory Ipomoea ternifolia. These leaves are VERY slender, flowers are much more purple (to me), and, more importantly, they stay open all day. There are fields of them along the Esperero trail.